Pristine Acres is committed to offering the highest-quality, most professional pool, masonry, carpentry, and landscape design/installation services with the best customer service in the Washington DC Metro. As experienced Class-A General Contractors we have the resources to get your job done properly. Besides our resources and experience, we are motivated to always be proud to put our ‘stamp’ on every job we complete. Our customer-oriented, proactive approach to business coupled with proven quality and affordable prices have made Pristine Acres a premier outdoor living construction company in the DC Metro. With every aspect of our business Pristine Acres delivers the same message to our customers: Your Property is Our Priority. Virginia, MD and DCs premier outdoor environment company. We specialize in high-end projects, including pool and spa construction. With our talented staff of landscape architects and our seasoned installers, we create stunning landscapes for our wonderful clients. A family-run business for more than 35 years, Terra Landscape and Design is dedicated to quality residential and commercial landscaping with an emphasis on ethical, high-quality work. The roots of Terra Landscape and Design began in 1975 when four brothers needed money to take out girls in high school. Mike, Ron, Kevin and Russell started the Allan Brothers Four Seasons, a raggedy lawn-maintenance business with the motto, “You grow it, we mow it.” It wasn’t a business, it was a family—and bolstered by friends and Mike's good looks, it soon grew into a self-sustainable landscaping company with 2 full crews of friends and a few real employees. There were many adventures over the years. Some of the brothers went to college, some of them didn’t go to college—and they all got married to good wives who one-by-one convinced three of them to get out of the landscaping business. The remaining brother, Russell Allan, changed the name of the business to Terra Landscape and Design, after his wife, so she wouldn’t try to nudge him to follow suit. He would go on to pass his love of landscaping to his son Jared who later joined him in the family business. 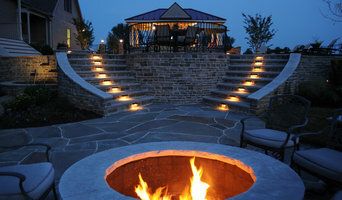 Leading Northern Virginia Deck/Patio Specialist- 4X Best of Houzz! You've got a ton of personality. Does your yard? We take the time to learn the story of how you and your loved ones will live in your new outdoor space, and then we weave that together with your unique sense of style to create something that excites you every time you look outside. 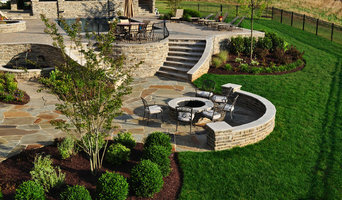 Landscape Deck Pro LLC was established in 1998, and has provided quality landscape and grounds maintenance, along with quality craftsmanship building decks and hardscapes.. We can provide design and installation helping you in choosing quality materials within your budget to complete any project. I work with homeowners, builders and architects to design residential landscapes, from tiny urban gardens to larger suburban properties. Helping clients distill their ideas into a working plan is the essence of my wonderful job. "Landscaping is not only a means of my livelihood, an environment that I live , breath and work all day but an avenue of life that completely sustains me, I absolutely love what I do.” Land Art Design, Inc. has been designing and installing creative landscapes since 1985. We are full service and can provide all aspects of a beautiful landscape, from stonework and planting design to irrigation and elegant lighting. We take into account your lifestyle, family, pets, and site conditions, endeavoring to meet all of your needs, while respecting your budget and vision. Our experienced professional designers, landscape architects, stone masons, craftsmen, and gardeners are all part of a team that Land Art employs. Our services include artfully designed stone patios and rustic fieldstone walls, either to retain grade or as accents in the landscape. We specialize in grading and drainage, creating usable and aesthetic spaces on difficult hillsides or slopes. The architectural elements we offer can enhance a home's front entrance or create new places in the home or back yard. We custom design and build porticos, help select and install new front doors, design and build decks and screened porches, pergolas, arbors and sheds. There is nothing more inviting than a new front walk; unique and elegant to improve the curb appeal of your home or a driveway that functions well for the family. Thank you for your time. We'd love to hear from you! ** Please note: We are no longer offering a 5% discount on Houzz referrals. Tiger Lily Landscapes, LLC is a Northwest, DC based, distinctive landscape design/build firm that provides you with custom service tailored to your specific needs and expectations. Whether you are looking for a turnkey experience or a collaborative design dialogue, Tiger Lily possesses the creativity and industry expertise to transform your vision into a reality. Just as importantly, we aim to ensure that your budget is respected and met. We serve mainly residential clients, but also provide some commercial services throughout DC, MD and VA.